"Shirt, purse, shorts (Shorts? It's winter... okay. ), sock...s (Socks! ), another shirt, pants, andddd there it is, the shirt I've been looking for!" Do any of your daily mental routines involve this thought pattern? Are you tired of feeling completely lost in your closet? Like you've traveled to a distant land full of colors and patterns and you just can't make our their language? There's just so much going on you and you can't seem to put together an outfit that makes sense. 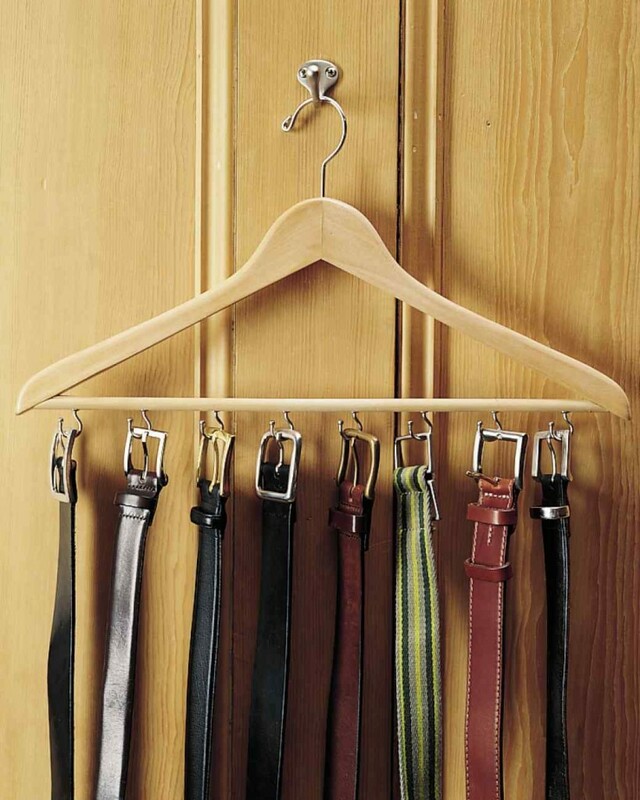 This week we thought we'd shed a little light on how to make your life easier with the concept of an organized closet. Yes, I said the words. 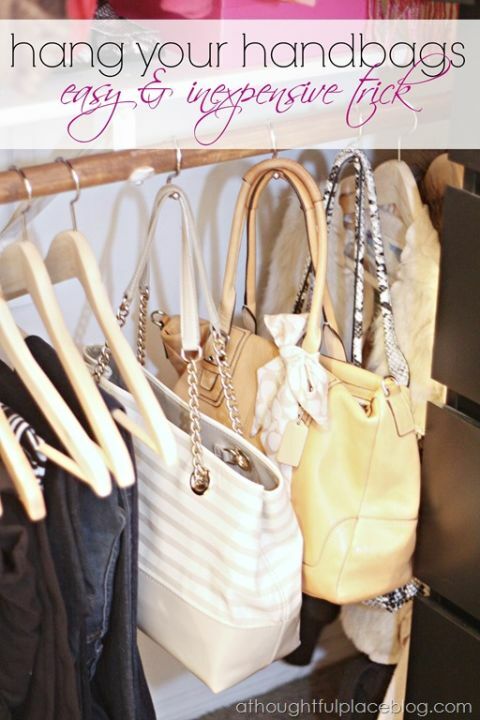 An organized closet really does exist, let me show you how. Let's start with the less scary aspect of your closet, the door. The outside, the magical piece of wood that separates yourself and your guests from the chaos that ensues on the 'the other side'. There is always the simple and cute curtain. Remove the door(s), hang a curtain and there you have a quite (and cheap) solution to your problem. 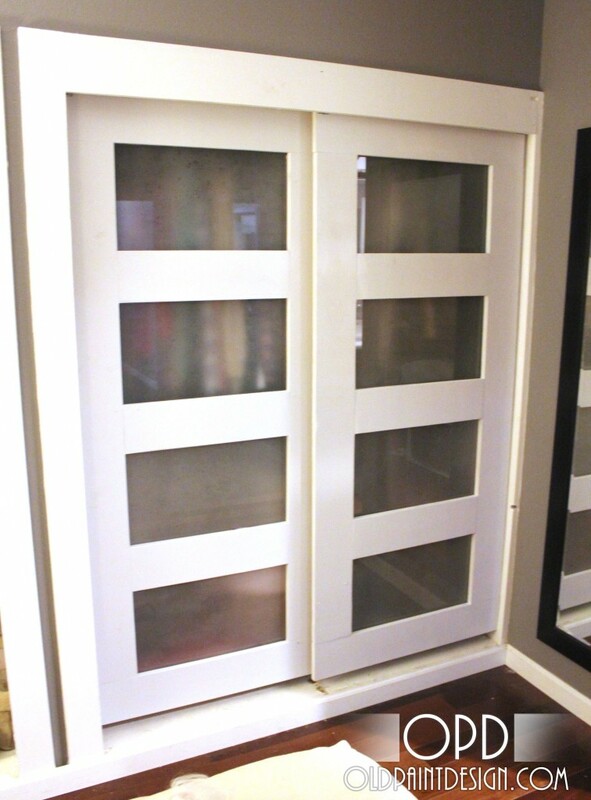 The answer to sprucing up the outside of your closet may be sliding doors. For those with room for only one door, you can build your own with this tutorial from Paper Daisy Design. 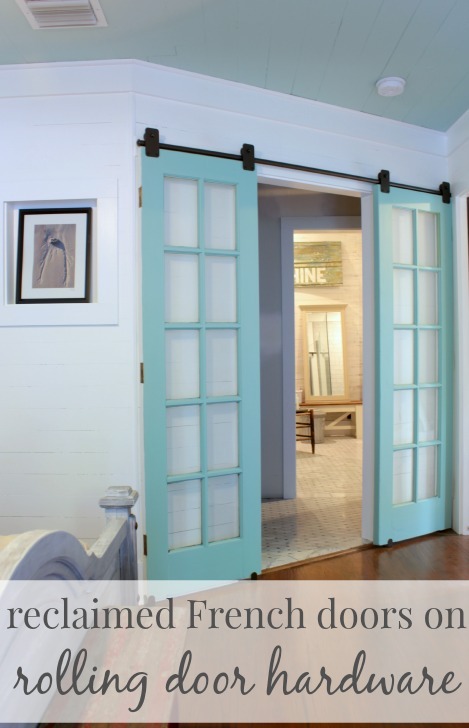 For those who have a love for french doors, check out how to put up your very own french door sliding doors in The Space Between Blog. If you have a little more time and patience on your hands, you can build your very own frosted modern door with this tutorial from Old Paint Design. And while this is not a tutorial or DIY, we figured you could use the same frosted glass concept on folding doors with our last idea (via Decoholic). Next I am going to bombard you with endless tips and tricks as to how to contain the clutter. I'll start with accessories. Purses are always an issue, where exactly are they supposed to go? Look at this helpful tip from A Thoughtful Place. Hats. Do you ever attempt to stack up the hats in your house into this one little neat pile that inevitably tumbles over and lays there until you just can't stand it anymore? Me too, me too. Look what I found on House Dressing Style. Ties fall into the same category. Try as I might, I cannot for the life of me keep them on that designated velvet hangar and if I can, they just all fall off while he's deciding which one to wear and it's like pressing restart. 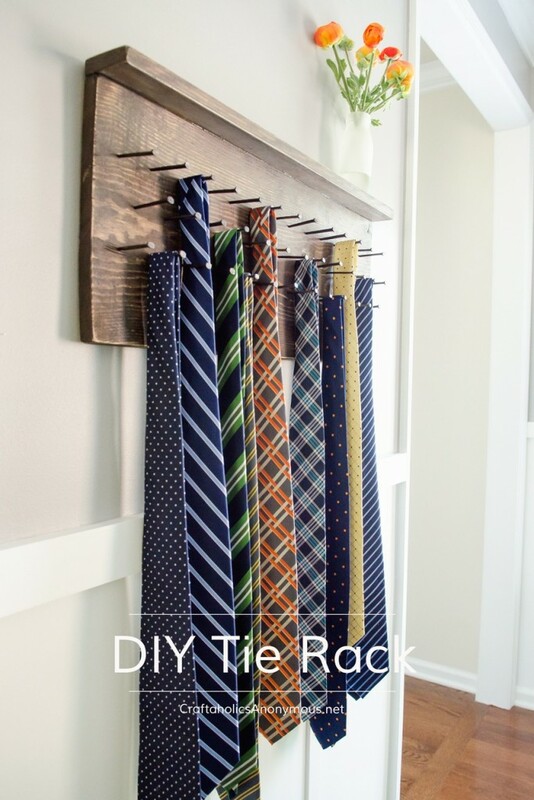 I really like this idea, you can do anything with it and the ties can be as close together or as spaced out as you'd like to make them (via Craftaholics Anonymous). Next I chose to pick on belts, they too also slip, slide and flop around the closet when I have just simply given up but I think I may have found a solution thanks to Martha Stewart. 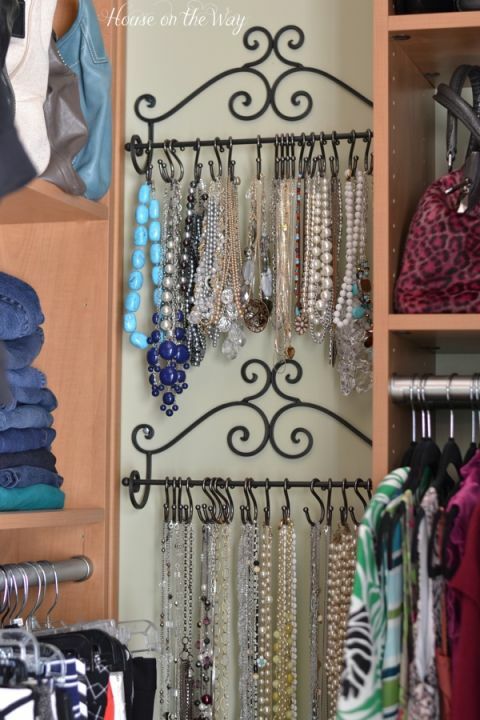 I could go on and on about exactly how to reorganize your closet. There's short sleeve to long sleeve, light to dark, a cute little his and hers side, fold your jeans, hang your jeans. There are so many different way to make your closet efficient but truth is, it's a series of trial and error before you find what works for YOU and your everyday life. Here is a blog on how to start by Just A Girl And Her Blog. She keeps it short, simple and to the point... just how we like it! Thanks for reading and remember, stay organized!